There’s nothing like having too much freedom, is there? You can do almost anything you like with a non-religious ceremony, so it definitely can be hard to know where to start! The three issues you have to tackle are, in order, the officiant, the site, and the wording of the ceremony itself. In most states in the U.S., it is possible to hire a judge or a non- denominational minister to officiate at your wedding. 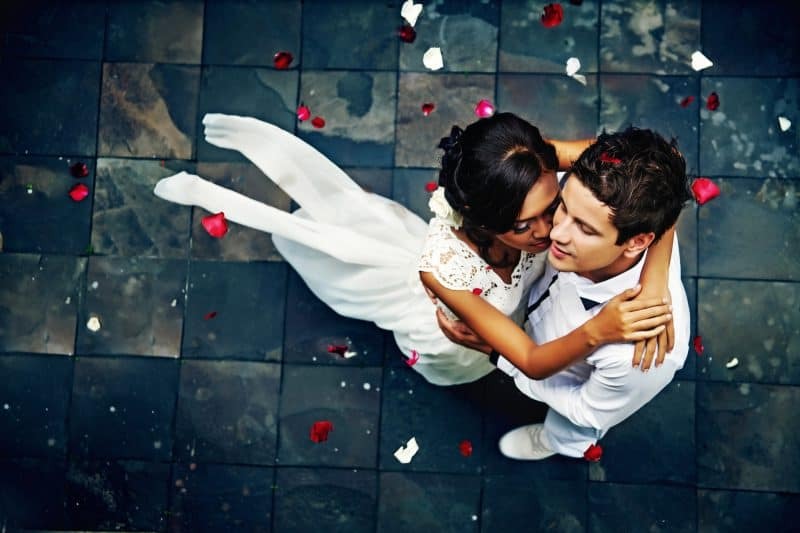 The first place to look for leads is in your local wedding services directory. You’ll find this either in bookstores with the bridal magazines or at bridal shops, bakeries, and other stores that do a lot of wedding business. Some directories are free; others cost about as much as a magazine. People who are qualified and willing to perform weddings will advertise in these books. Even if you’re looking for a truly non-religious ceremony without a single mention of God, don’t automatically reject people who call themselves “nondenominational ministers.” Some are willing to do ceremonies that are essentially non-religious. While you’re flipping through the wedding services guide, glance at the listings for ceremony and reception sites. You’ll learn some interesting things. First, there may be one or two churches that advertise their availability for non-denominational weddings. If you’ve always dreamed of having a church wedding but don’t belong to any specific denomination, these churches can make your dreams come true. Second, you’ll find reception sites mentioning that they also have space for ceremonies. This can be handled several ways (and the ad will often mention which they do). Do you want your ceremony in a small room or a garden, followed by a reception in a grand ballroom? Do you want your ceremony and reception in one room, with a receiving line and cocktails in another room while the main room is rearranged for dinner seating? Do you want to have guests already seated for dinner when the ceremony starts, to simplify things? All three arrangements can work-it’s just a matter of figuring out what format will be comfortable for you. Third, you’ll learn that only the major wedding venues advertise here. There are other options. You can be married in a park, with a reception at a restaurant. You can be married at a restaurant. You can be married in a small ceremony at the courthouse, then have a large celebration anywhere you like. You can be married in your living room (or your parents’ living room). Set a budget and shop around. Before the ceremony, most couples have some background music to help the guests relax. You can even serve cocktails and hors d’ouevres. The attendants, followed by the bride, make their grand entrance. You can have the groom wait “up front” for the bride, or he can be in the processional, too. Typically, the officiant will say a few words to greet the guests. You can do this yourself, if you’d prefer. Ask some of your friends to give anywhere from two to four readings or vocal solos. It usually takes couples about 20 minutes to get their breath and realize what’s happening, so think in terms of filling at least 10 minutes with readings or songs. If you have ethnic traditions that you’d rather include instead of readings, you can do that, too. Your officiant may also fill part of this time with remarks on the meaning of marriage. You can use the standard “love, honor, and cherish” vows, or you can write your own. Some wedding ceremonies end with a recessional as soon as the officiant has pronounced you husband and wife. Other couples prefer to have some optional additional rituals, such as lighting a unity candle, having a friend sing a solo, having one more reading, asking the gathering to join in a nondenominational blessing… the possibilities are endless. Just keep the ceremony under an hour! The bride and groom lead the retreat, arm in arm, followed by the attendants. When the wedding and ceremony are at the same site, it’s very helpful to ask the officiant to announce the next step (receiving line, dinner, whatever) before the recessional, so that guests don’t wander confused.